Valley Away will be running a coach service to the match, priced at £27. Details on pick-up times and locations are available to view below. Has it been confirmed which day the match is on? £27 for the coach is steep, they're clearly profiteering based on lack of trains. Straight to general sale. Would that have been the case if this was on a Saturday? Cabbles how long do we stop off for 30mins so be in Mansfield earliest 12pm. Bonkers fare. A 49 seater coach on that run from SE London / NWK should be £750 to hire tops, but I expect the ridiculous pick-up route guarantees it requires an extra driver. Traditionally you price on 35 passengers so that you can run two if you get 70 people (which also solves the pick-up problem), but a £27 fare would imply they are paying £950 for the coach - and they don't take any risks with spare capacity anyway. It just looks like someone fleecing a captive market, whether it's the club and fans or the coach company and the club. Bearing in mind the club gets a share of the match ticket price, it's likely to be counter-productive to charge that much. I think we ran three or four coaches to Halifax in 2011 for a similar kick-off and that was live on UK TV. Lols, 2 hours from Larkfield to Charlton making the journey time from the former near nigh 5 hours without a stop for £27! I used to do Nottingham in 2 1/2 hours by car from Dartford Crossing. We will play a weakened team and get beat - much cheaper to buy a sledge hammer and hit yourself over the head with it. I suspect that would be slightly more enjoyable, or at least as enjoyable so much better value! It's a joke mate, I feel for you, I really do, get together with some of your mates and share a car. Or better still get organised and get some independent minibuses / coaches sorted. £27 is a rip off. 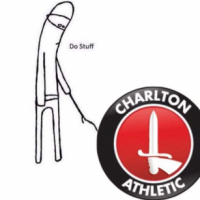 An hour from Bexleyheath to Charlton is laughable how it goes on year after year. Surely there's got to be enough demand for an independent coach / minibus to run which isn't going to tour the whole of South East London or cost £27. It’s perfectly feasible to run a regular independent coach and to my knowledge there are people willing to take it on (not me). However, it needs to operate on a profit-making basis if people doing it are going to expose themselves to losses. The best option would have been CAST but they didn’t have the experience and panicked too soon when coaches didn’t fill up early. And CAST made a loss IIRC. Indeed but they didn’t operate it in a way that would have allowed it to gather momentum over time. No point in digging over old ground. The club has killed much of the demand for coach travel with its ridiculous service but when you see one coach turning up at games outside London but within reasonable distance it’s obvious it isn’t even succeeding on its own terms (i.e. maximising the financial return). We ran about 100 away coaches a season in League One 2009-2012. We used the profit to subsidise Valley Express, in turn bringing in ticket revenue. Going back 30 years I have never known an away coach service to lose money over the season. It’s more complicated to operate a second service, but I reckon it would be pretty easy to put the club’s service out of the game - as CASC did in 1991-2 - or at worst force it to operate sensibly to stay in business. So there are people willing to run an independent coach service and it would be pretty easy to put the club's service out of the game ? Why aren't these willing people running a service then ? They're not Australian perchance ? NB We all agree the club's service is ridiculous. You’re conflating their interest and my opinion. 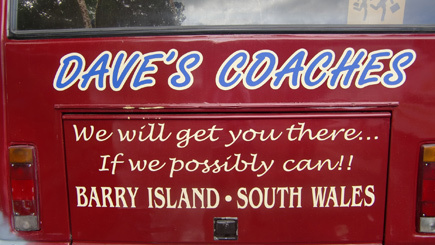 Ok, so you say there are people willing to run an independent coach service. Why aren't these people doing so then ? Personal financial risk for one thing - remember the club running multiple free trips the season before last? It’s one thing to predict an outcome, another to put your own money up front. It’s more that they are willing to do the work. CAST ran coaches to Fleetwood, Oxford (2), Gillingham, Millwall and Milton Keynes last season and made a small (unproblematic) loss. Although this doesn't amount to a great deal of experience we were able to see a repeating booking pattern whereby bookings came in steadily once the coach was advertised right up the day before departure. Therefore it was possible to predict final demand pretty accurately about ten days before departure. For the trips above we were over half full a week before the game. This is what encouraged us to run 2 coaches to Oxford. For Port Vale and Bristol Rovers (evening games) there was very little interest at all right from the off. The same applied for Swindon (on TV). Most surprisingly, Bradford also failed to attract interest. As the person responsible for running the service it was up to me to decide whether we should run a coach with 7 or 8 bookings a week before departure and an optimistic estimated maximum of 15 by fixture day. There is simply nothing to support the argument that says those coaches would have miraculously filled up in the final few days. Even with 15 passengers these trips would have lost £300 - £400 each but the figure was more likely to be nearer £500. We are talking about CAST members money here. One thousand members contribute £5 each in subscriptions every year. Running those coaches would have used about a quarter of that income to subsidise the travel of a handful of people. So I wouldn't personally describe cancelling those coaches as "panic". The four coaches that didn't run were advertised for 2 weeks and none were withdrawn earlier than 9 days before departure. 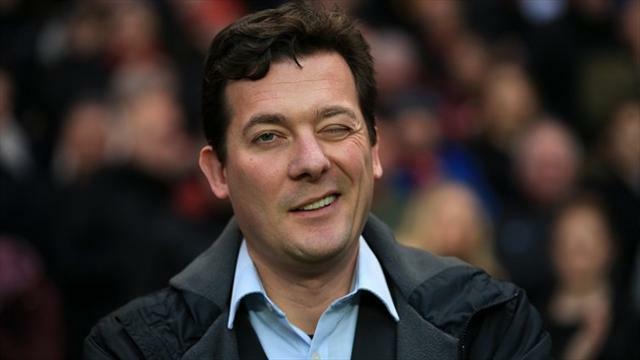 From memory, I think we had 3 bookings for Bristol Rovers when we knocked it on the head. We also had to bear in mind that, if we weren't going to run a coach, we needed to give people sufficient notice to be able to make alternative arrangements. CAST indeed didn't "operate it in a way that would have allowed it to gather momentum over time" because that would have bankrupted us in the short (and probably medium) term before it (maybe) became profitable. If, as Airman claims, there are people out there willing to run a regular independent service, what is stopping them ? As you know we don’t agree on this or the fact that people couldn’t book online through a user friendly interface. There’s no doubt there were issues with the evening games but as I also told you there is a sharply different booking pattern for games depending on how far away they are. I’ve been involved in it on and off for the best part of 30 years so I have gained some knowledge of how it works. Most of all, you cannot expect a service which regularly cancels coaches it has advertised and taken bookings on to attract any loyalty. I think the difference between an organisation that represents a collective of fans and a private individual or individuals and their relative ability to take on short-term risk is pretty obvious. Lucky for the fans in the 1990s that CASC stood up to the club and killed off its attempts to profiteer from away travellers by putting it out of the game. They got another 15 or so years of travel run by fans for fans because of it. Perhaps the trust could at least ask the club why it chooses to charge £27 for travel to Mansfield? It can’t be because the coach costs £1,300 to put on. So, the bottom line is there ISN'T anyone willing to run an independent coach service, at this point in time. Pico could the trust not open up a travel membership for the coach £5 or £10 For the year to help cover costs. Although I doubt id use it I'd join.